LOSES EYE IN CLASS FIGHT. LIBERTY, MO., Feb. 10. -- This afternoon the annual class fight between the juniors and the seniors of William Jewel college culminated in the loss of an eye by Lewis Carr, a senior, the result of a flapjack thrown by a junior. The scrap started last night when the seniors placed their colors on top of the high school building. This morning a fight was waged between the two classes on top of the high school building. In the afternoon the freshmen joined the juniors and the sophomores allield themselves with the seniors. The juniors succeeded in placing their colors on the court house, but the seniors took them down and placed theirs around the statue of Liberty. Then it was that Lewis Carr met with his accident. The juniors would not let him down until the chief of police drove them off. The condition of the young man is serious. The public schools of Kansas City closed yesterday for the Christmas vacation and will not re-open until the Monday following New Year's day. In the kindergarten schools and in some of the other grades of the various schools, Christmas exercises were held yesterday and as a rule the kindergarten pupils were given little remembrances by their teaches and each other and were presented with small sacks of candy. Several hundred Knights of Columbus were present at the reception given in honor of Archbishop Glennon at their new hall at Thirty-first and Main streets Friday. After renewing many old friendships the archbishop left for St. Louis at 11 o'clock that night. "It has been a busy two days," he said last night, "but I have enjoyed every moment of my visit. I only wish that I could remain longer. I thank the Lord for the good that He has enabled me to do in Kansas City." As the result of the prelate's appeal to the public to aid the work that is being carried on by the House of the Good Shepherd, in his lecture at Convention hall last Thursday night, over $5,000 has been collected, and more has been pledged. Yesterday morning Archbishop Glennon went to the old St. Teresa's academy at Twelfth and Washington streets and celebrated mass. After visiting Loretto academy he returned to St. Teresa's, where a musicale was given in his honor. In the afternoon he laid the corner stone of the new St. Teresa's academy building at Fifth street and Broadway. It rained hard throughout the whole service but over 300 people stood bare headed in the mud while the archbishop put the stone in place and blessed the building. In the evening Archbishop Glennon was the guest of honor at a dinner given at the home of Hugh Mathews, 1014 West Thirty-ninth street, and attended by Bishop Hogan, Bishop Lillis, Brother Charles and Father Walsh. The party then attended the Knights of Columbus reception. mate Picked to Become President." "Do you remember the first time we met?" Judge Ralph S. Latshaw asked John Conners, tried in the criminal court yesterday on the charge of petty larceny. Conners had stolen junk iron valued at $2.50. "It was when we were both boys," the judge continued, "we were nearly the same age, and were in the same class in the old Lathrop school. It must have been over thirty years ago. "I can remember you well. You were the one who his classmates had picked to become president. You were the best in spelling and arithmetic. The teacher considered you her model pupil. Your penmanship was the roundest and the letters the most perfect. Everything came easy to you, while the rest of us had to study hard to get our lessons. You never have found out what real work is. "But Connors, do you remember the next time I saw you? It was ten years ago. You came to my office to have me write a letter to the governor to have your citizenship restored. You had served a term in the penitentiary for grand larceny. "What was the cause of your downfall?" Connors was sentenced to sixty days in jail, then paroled on condition he would leave whisky alone. Eight doctors will visit the public schools today to arrange with the principals suitable hours for the medical examination of pupils, the long-cherished project of Dr. W. S. Wheeler, health commissioner. Dr. Wheeler hopes to have the system in perfect working order by the end of the week. In his office at Twelfth street and Grand avenue last night, Dr. Wheeler read his instructions to his assistants and furnished each with blanks and other material. The schools are to be visited at least three days a week and those in the North End and river wards every day. The examiners are to make arrangements with the principal for a room where the pupils can be examined. Not all the pupils in each school are to be brought before the physician. Those who are suspected of having contagious diseases or who have been absent from school are to be called into the room and placed in charge of the medical examiner. If it is found that the pupil is suffering from a contagious disease, he is at once sent home by the teacher, and can not return until he has again been examined by the physician, and his condition pronounced improved. Especial attention will be paid to the diseases of the eye and teeth. The dental colleges have agreed to do work free for all pupils who present the proper credentials. Several specialists on eye diseases have agreed to make medical examinations free of charge for all pupils whose parents are not able to consult oculists of recognized standing. "Remember," said Dr. Wheeler, "that you are not to make an examination unless in the presence of the teacher or principal. No pupil is to be vaccinated unless with permission of the parents. The office of medical examiner is not to be used as a means to solicit personal business." Dr. Wheeler has spent more than a year studying the systems in use in other cities of the country. He not only has the advantage of the ideas of other cities, but also his personal experience for several years in Kansas City. By the end of the year he hopes to see the high schools in the list. Way in College Writing Poetry. James Cannon, a member of the junior class of the Rosedale high school, hopes to win his way through the Kansas university next year by writing verse and short stories for the magazines. Some of his work has already been published and found favor, especially with the faculty of the school where he is known as "the judge." Of the prophecies of old. Cannon became known as "the judge" in rather a peculiar manner. Last winter three boys who became acquainted with him while he was working in a restaurant at 920 Southwest boulevard were arrested for gambling with dice and thrown into the Rosedale holdover. They had no money to employ counsel for their trial in police court and as a last resort sent for Cannon who, with a very limited knowledge of law, won the case over the city attorney. "The judge" has stuck with him since and bids fair to remain his permanent sobriquet. He says that if he ever becomes known in the literary field it will be his nom de plume and that he intends to make it famous. Last Friday night when consternation reigned in the High school over the non-appearance of Juvenile Judge Ben B. Lindsey, of Denver, to fill a Chautauqua date with an assembled audience of about 600 patrons of the school, Cannon was elected by the principal to take his place. His knowledge of current events made this possible and when he at last sat down after a half hour's discourse on the delinquent magistrate he was greeted with a demonstration that would have been complimentary to any orator. James Cannon is the son of John Cannon, a real estate agent of 1709 Kansas City avenue, Rosedale. At the death of his mother several years ago he left his home with the object of making his way in the world and incidentally in literature. Of the five young women injured in the fire at the Loretto academy on Friday night, two are dead and Miss Mary Maley has but a slight chance of recovery. Miss Ruth Mahoney and Miss Agnes Campion, the latter of Omaha, were but slightly burned and will recover. Miss Mimie Tiernan, the 16-year-old daughter of Mrs. Elizabeth F. Tiernan of 3525 Broadway, one of the victims, died at 7:30 o'clock yesterday morning. Miss Tiernan had a strong presentiment that something was going to happen before the evening had passed. To several of her friends she kept repeating: "Girls, I don't feel right. I am sure that something awful will happen before we get through with the programme." Miss Tiernan was a daughter of the late Peter H. Tiernan, president of the Tiernan-Havens Printing Company, now known as the Tiernan-Dart Printing Company, in which Mrs. Tiernan holds a large interest. Mr. Tiernan was for many years president of the upper house of the council. Miss Tiernan is survived by a brother, Peter H. Tiernan, who is taking a course in engineering at Rolla, Mo. He was advised of his sister's death and arrived in the city last evening. Another brother, Curtis and two elder sisters, Josephine and Marie Isabella, are traveling in Europe. funeral services will be held in the academy at 9:30 o'clock this morning after which the body will be sent to St. Louis for burial. Mrs. Tiernan, who was slightly burned in an automobile accident about a month ago, had rented her apartment at 3525 Broadway and had intended to go to her ranch near Joplin, Mo., in a few months. 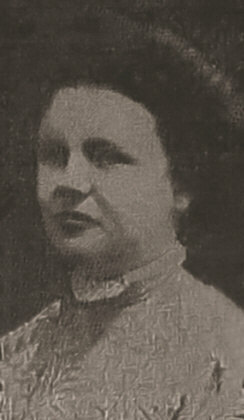 Miss Virginia Owens, the second victim of the fire, never fully recovered consciousness. Miss Owens was the daughter of Joseph J. Owens, a real estate dealer of 404 South Spring street, Independence. Miss Owens willingly sacrificed her life in order to save the lives of those in danger as she was in the rear hall of the academy when the fire started and rushed forward and tried to extinguish the flames which enveloped the other girls. In this manner she was burned. The burial of Miss Owens will take place Tuesday morning at 10 o'clock. The funeral will be from St. Mary's Catholic church, of which the deceased was a communicant. Miss Owens was the youngest child and for the past two years had been attending the Lorreto academy in Kansas City. Mrs. Owens, mother of the girl, was informed yesterday morning of the accident and told of the death of her daughter. While Mrs. Owens was aware that her daughter had been burned, the fatal ending was not made known to her until yesterday morning, owing to her ill health. the shock of the news prostrated her, and for this reason the funeral of the unfortunate girl was placed for Tuesday, in the hope that the bereaved mother might be able to attend. Mr. Owens, the father of the girl, is a retired capitalist, and was with her shortly after the accident took place, but kept from his wife the possible consequence of the accident. Miss Mary Maley is in a serious condition, but at a late hour last night she was reported by Dr. J. A. Horigan, who is attending her, as much improved and there is a fair chance of her recovery. She was badly burned below the waist and probably will be injured for life. Miss Maley is the daughter of S. A. Maley, a contractor of 1200 West Fortieth street. She is still at the academy, as the physicians did not think it advisable to move her. In the evening before the fatal fire the Sisters were complimenting themselves on the healthiness and fine conditions of the academy. Many of them are confined to their rooms as a result of the shock of the disaster. The statement that Miss Ruth Mahoney, who was taking a part in the performance, had been seriously burned is a mistake. She escaped without injury. Miss Mahoney is a sister of Mrs. Phillips, wife of Captain Thomas Phillips. Mrs. Phillips was in the audience and when she realized the dangerous predicament of her sister she ran forward, removed her from the way of harm and ruined two coats in whipping out the flames that enveloped the stage. Three girls seriously burned and a third slightly is the result of the overturning of a jack o'lantern last night during a Halloween celebration at the academy of the Sisters of Loretto, West Prospect and Thirty-ninth street, which set the costumes of the girls on fire. Mary Maley, 1200 West Fortieth. Ruth Mahoney, a niece of Alderman C. J. Conin. It was stated early this morning that three of the girls were possibly fatally burned. There are little hopes of Misses Owen and Tiernan recovering. Miss Maley is reported to be in danger, though not as seriously burned as the other two. All the victims were conscious and suffering greatly. All but Miss Mahoney were burned over their bodies, and on the arms and legs. The girls were giving a Hallowe'en entertainment in the corridor on the first floor. The stage at the end of the hall was decorated with jack o'lanterns and bunting. They planned a "North Pole" entertainment, and were dressed as Esquimaux. They wore white trousers, covered with cotton to represent snow. Their waists also were covered with cotton. No boys had been invited. It was 8:20 o'clock when Maley walked across the stage. She was laughing gaily and chatting with a crowd of girls walking at her side. They were all talking of the beautiful decorations and the novel decorations. Miss Maley stumbled on a jack o'lantern. From the candle the cotton on her Esquimaux dress was ignited. The flame spread over her entire body. Misses Teirnan, Owen and Mahoney, walking at her side, rushed to their friend's help. There were screams and cries for help. Some of the girls fainted, others grew hysterical. The flames spread from Miss Maley's costume to the three girls who had rushed to her aid. In a moment the four were a mass of flames. The clothing was burned entirely from Miss Maley's body. The cotton burned as if it were saturated in oil. The three girls, who came to her assistance, were burned from head to foot. The fire spread to the clothing of the four. It was 8:26 o'clock when the fire department at station No. 19, Westport, received the call. Before the firemen arrived the flames were put out. The fire did not ignite the other decorations nor the building. Captain Flahive of No. 5 police station, and Officer Wood went to the academy. Considerable persuasion was required to gain an entrance. When the mother superior was asked for the names of the injured this information was denied. Drs. B. H. Wheeler and Horrigan were summoned. All the cotton bandages in the drug store at Thirty-ninth and Genessee were bought outright. It was necessary later to send to Westport for more medicine and bandages. The physicians remained at the bedsides of the injured girls through the night. The school authorities refused to make any details of the accident public. To all questions as to names and the extent of the injuries, those in authority replied that there was absolutely nothing to give out. "We have the story," the reporters told them. "Well, if you publish anything about this, we will sue your paper for libel." The girls at the academy had planned for a Hallowe'en dance this evening at Little's hall in Westport but because of the occurrence last night, the party has been cancelled. While "running" an errand for his mother, Sidney Crawford, 16 years old, son of Mr. and Mrs. L. H. Crawford, 8247 East Twenty-eighth street, met death beneath the wheels of an Indiana avenue street car, between Twenty-eighth street and Victor avenue, at 4 o'clock yesterday afternoon. Mrs. Crawford had sent Sidney with an empty bottle to a grocery store for milk. As the boy reached a point on Twenty-eighth street where he might cross directly over to the store, a southbound car obstructed his path for a moment. When it had passed Sidney ran quickly behind it, and encountered a northbound car. The momentum of the car carried it about thirty feet before it could be stopped and the body could be extricated from beneath the rear trucks, where it was wedged tightly. When it was disengaged by a wrecking crew thirty minutes after the accident, the half-pint milk bottle remained unbroken. The boy was the oldest son of the Crawford family and a junior in Manual Training high school. In the library of the home yesterday afternoon he was writing an essay when his mother sent him on the fatal trip to the store. The title of the thesis was "A Halloween Prank." As Sidney arose to go he bent over his paper and in a thin, boyish scribble added the sentence: "And then I prepared to take some rest." In less than five minutes a neighbor came running to the Crawford doorstep with news of the accident. Mrs. Crawford was overcome with grief too acute for tears and medical attention was necessary. Mrs. August Nuss, 3233 East Twenty-eighth street, whose husband is a partner with Mr. Crawford in a trunk store at 425-27 West Sixth street, called the latter over the telephone. The body of the boy was examined by Deputy Coroner Harry Czarlinsky immediately after the accident. An inquest will be held this afternoon. The motorman and conductor of the Indiana avenue street car which killed him were arrested by Patrolman Joseph Morris and taken to the county prosecutor's office but later were released on their personal bonds. The Jewish Educational Institute opened its night school for foreigners at 7 o'clock last night in its new building, Admiral boulevard and Harrison street, with 101 enrollments. The purpose of the night school, which is open on Monday, Tuesday, Wednesday and Thursday evenings of each week from 7 to 9, is to teach the foreign class of people in Kansas City the English language and to Americanize them as far as possible. Five different divisions are taught, mainly elementary English, arithmetic, civil government and architectural drawing, the latter being taught by Walter Root and Thomas Green. The classes are composed mostly of working men and women between the ages of 20 to 45 years, most of them having a good foreign education, a few being unable to read or write a word of English. This work has been carried on for the past six years under the same management at 1702 Locust street. Jacob Billikopf, superintendent of the institute, expresses himself pleased with the enrollment for the opening night, that he expects to increase it considerably in the next few weeks. A fee of $1 per month entitles the scholar to all the privileges of the institute, prominent among which is the gymnasium and shower baths. The opening of the night high school at the high school building in Kansas City, Kas., last night, was marked by the attendance of 119 pupils, whose ages ranged from 17 to 45 years. Principal E. L. Miller and the assisting teachers divided the pupils into 12 classes. The recitation periods were made from 7:30 to 8:20, and from 8:20 to 9:10 p. m. on Monday, Wednesday and Friday nights. The pupils were given the choice of two of the following twelve subjects: Chemistry, English, Latin, German, geometry and algebra, commercial arithmetic, grammar and spelling, penmanship, book keeping, stenography, woodwork and mechanical drawings. The commercial arithmetic class was so crowded Mr. Miller had to make two sections of it. Book keeping, penmanship and chemistry were the next three most popular classes. A large number of graduates of the high school en rolled in the language classes to complete work they had failed to finish while in school. The most interesting class of all was that of nine Polish young men, who are attending the school to learn to read and write the English language. The young men live in the neighborhood of St. Margaret's hospital, and work in the packing houses during the day. They became interested in the school through the efforts of Charles W. Szajkowski, a cabinet maker, who has lived in America nineteen years, and who received a training in English in the night schools of New York city. A teacher had not been designated for this class and M. E. Pearson, superintendent of the schools, volunteered to start the class in their studies. He began by attempting to call the roll, but was forced to call Mr. Szajkowski to his aid. The following were the pupils enrolled in this class: Andrzoj Kominick, Cypryan Lauter, John Pasik, Alex Mimeszkowski, Anton Catrowski, Stamstan Butklewicz, Joseph Wiskiewski, Michael Kryska, and John Balamat. After the roll call Mr. Pearson distributed primers and prepared for foreign students, and after reading over simple sentences, had the class repeat them. Notwithstanding the fact that none of the class knew anything of English, within half a half hour they were reading such sentences as "Five cents make a nickel," and "Ten dimes make a dollar." The class was next sent to the blackboard, and after Mr. Pearson had written simple words on the board, the class was told to copy them. It was surprising how well they wrote the words. Mr. Pearson and Mr. Miller were gratified with the results of the first session of the school. "I am certain the school will be a success," Mr. Miller said. "The pupils all appear earnest and I believe will improve their opportunity. At least fifteen pupils told me that they would bring another pupil with them at the next session." Mr. Pearson was very much interested in the class of foreigners. "I am very glad, indeed, that we are enabled to take up this work," he said. "I studied night school for foreigners in the East two years ago and from what I learned there I know they pay." "Our own American pupils will have to look out or the Polish boys will beat them when it comes to earnestness and ability to stick with their studies. Mr. Szajkowski told me after class tonight that he expects to have at least seventy-five Polish young men enrolled within two weeks." All of the students attending the school pay a monthly tuition of $2. This fee will be used to pay the teachers, except Mr. Miller, who gives his services to the school. The pupils come from all over the city. One pupil enrolled from Mount Washington, a suburb of Kansas City, Mo. Several more enrolled from Kansas City, Mo., and one from Rosedale. The head of the cortege which will follow Thomas H. Swope to his last resting place will form at the city hall at 1 o'clock this afternoon. From there the procession will march to the public library, thence to Grace Episcopal church, Thirteenth and Washington. It has been arranged that all children attending school east of Main street will form from the library west on Ninth street and south on Grand avenue, the intention being of the cortege to pass through a line of school children as far as possible. The west of Main street school children will form on Eleventh street west from Wyandotte street and south on Broadway. The children of the Franklin institute, to whom Colonel Swope, conditionally, gave $50,000 before he died, will form on Grand avenue south of Eighteenth street, on the road to the cemetery. The library doors were opened at 9 a. m. and the waiting crowd began to file slowly by the casket. Instinctively, men removed their hats. Small boys, some of them barefoot, followed this example, keeping the hat close to the heart until the casket had been passed. When there was no rush the crowds passed the casket at the rate of forty to sixty a minute. Between the hours of noon and 2 p. m., however, there was a great increase, and Charles Anderson, one of the police guard, counted 369 in five minutes. Shortly after 3 o'clock, after the flower parade had passed along Admiral boulevard, the crowd became very dense at the library and two lines had to be formed. During that time they passed at the rate of 120 a minute, which would be 720 an hour. During the morning the school children were released to give them an opportunity to look upon the face of the man "who gave us the park." Some were bareheaded, some barefooted, some black, some white, but all were given the opportunity to look upon the pale, placid face of Colonel Swope. Mothers who could not get away from home without the baby brought it along. Many a woman with a baby in arms was seen in line. The police lifted all small children up to the casket. "Who is it, mamma?" asked one little girl, "Who is it?" "It is Colonel Swope who gave us the big park," the mother replied. "Out there where we had the picnic?" "Did you say he gave us the park, is it ours?" "He gave it to all the people, dear, to you and me as well as others." "Then part of the park is mine, isn't i t?" "Yes, part of it is yours, my child." One white haired man limped along the line until he came to the casket. With his hat over his heart he stood so long that the policeman on guard had to remind him to pass on. "Excuse me," he said, and his eyes were suffused with tears, "he helped me once years ago just when I needed it most. He was my friend and I never could repay him. He wouldn't let me." The aged man passed on out of the Locust street door. Every so often during the day the police say he crept quietly into line and went by the casket again, each time having to be remembered to pause but for a moment and pass on. Who he is the police did not know. Near the casket Mrs. Carrie W. Whitney, librarian, erected a bulletin board on which she posted a card reading: "Thomas Hunton Swope, born Lincoln county, Kentucky, October 21, 1827; died Independence, Mo., October 3, 1909." In the center of the board is an excellent engraving of Colonel Swope and on the board are clippings giving bits of his history and enumerating his many public gifts to this city. The board was draped in evergreen and flowers. "When Swope park was given to Kansas City, Senator George Graham Vest said of Colonel Swope: 'I am not much of a hero worshiper, but I will take off my hat to such a man, and in this case I am the more gratified because we were classmates in college. We graduated together at Central college, Danville, Ky.
"He was a slender, delicate boy, devoted to study, and exceedingly popular. I remember his fainting in the recitation room when reading an essay and the loving solicitude of professors and students as we gathered about him. He had a great respect for the Christian religion. It has gone with him through his life, although he has never connected himself with any church. I know of many generous acts by him to good people and one of his first donations was $1,000 to repair the old Presbyterian church at Danville, where we listened to orthodox sermons when students." Later Colonel Swope gave $25,000 to his old school at Danville for a library. Then followed his most magnificent gift, Swope park. Its value when given was more than $150,000. Today it is worth far more. Speaking of Colonel Swope again, Senator Vest said: "In these days of greed and selfishness, where the whole world is permeated with feverish pursuit of money, it is refreshing to find a millionaire who is thinking of humanity and not of wealth. Tom Swope has made his own fortune and has been compelled to fight many unscrupulous and designing men, but he has risen above the sordid love of gain and has shown himself possessed of the best and highest motives. Intellectually he has few superiors. The public has never known his literary taste, his culture and his love of the good and beautiful. The world assumed that no man can accumulate wealth without being hard and selfish, and it is too often the case, but not so with Tom Swope. In these princely gifts he repays himself with the consciousness of a great, unselfish act." SCHOOL FLAGS AT HALF MAST. Funeral services for Joseph L. Norman, late secretary of the board of education, who died last Monday, were conducted at 2 o'clock yesterday afternoon by the Rev. George P. Baity at the Westport Presbyterian church. A large audience heard the sermon and followed the body to its burial in Forest Hill cemetery. All the flags on the public schools were at half mast as was the one on the public library, which was closed all day. THE LATE JOSEPH L. NORMAN. Joseph Lafayette Norman, civil war veteran, compiler of the first set of abstract books in Kansas City, member of the school board for twenty years and its secretary for the last year, died at his home, 816 West Thirty-ninth street at 10:15 o'clock last night after an illness of two months. The funeral arrangements probably will be announced today, by which time a son who is in Mexico, and another who is in California can be heard from. Joseph Lafayette Norman was born at Hickory Hill, Ill, October 21, 1841. In 1857, the year following the death of his mother, the family moved to Greeley, Kas., and took up a homestead there. A year later Mr. Norman and his father returned to Illinois. In the fall of 1859 Mr. Norman and his father came back West and located at what was Westport, Mo., one mile west of what is now Fortieth street and State Line. The deceased conducted a private school in Westport, and he had to close it at the outbreak of the civil war, August 14, 1862, the day of the battle of Independence, Mo. ONE SON AN ARMY OFFICER. Mr. Norman closed his school and with five of his pupils reported at Fort Union on the west side of the city and tendered their services to the government. He served for three years as a member of company A of the Twelfth regiment of Kansas volunteer infantry. At the battle of Westport on his twenty-third birthday, Mr. Norman was aide to General S. R. Curtis and carried across the field of battle an important message under an extremely dangerous fire. His first wife, Miss Martha Jane Puckett, a native of Virginia, died January 1, 1901. They had five children, the oldest of whom, Captain Trabor Norman, is at present in the infantry, in Southern California. Another son, Joseph L, Jr., is in Mexico. Fred, Frank and Miss Jennie Norman are the other children. On June 25, 1903 Mr. Norman married Miss Katherine Gent of Kansas City. A son, Howard, was born of this union. 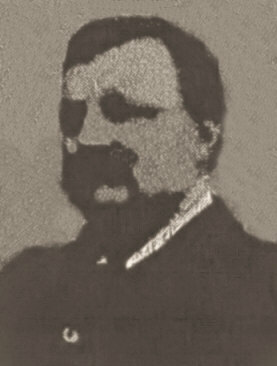 Mr. Norman was a member of Farragu-Thomas Post, G. A. R. No. 8, and was also a Mason. H e was the first quartermaster of the Third Regiment N. G. M. In politics he was a Republican. All of his ancestors were inclined to the military life. His brother, Calvin M., his father, Jones, and his wife's father, William E. Plunkett, all served in the civil war. His paternal grandfather, Joseph Norman, served in the war of 1812, and his great-grandfather served in the revolutionary war, enlisting from North Carolina. Mr. Norman commenced the work of getting up a set of abstract books at Independence, Mo. In October, 1865, and in the spring of 18657, with Lafayette Trabor he opened an abstract office. Later the Trabor interests were sold to Richard Robertson. Mr. Norman retired from this business a year ago. FOR 25 YEARS A PRIEST HERE. In 1885 St. Joseph's hospital was an unpretentious structure, a building which now forms a small wing to the greater buildings constructed adjoining it. In one corner of the hospital grounds there stood a little frame building which was used by the druggist attached to the hospital. In addition to the hospital buildings the grounds now contain a finely appointed church. The priest is the Rev. Father Patrick J. O'Donnell. He has been there twenty-four years. The church building has succeeded a modest chapel in which Father O'Donnell first celebrated mass when he was given charge of the chapel. It was his second charge in the priesthood. On November 1, Father O'Donnell will celebrate his silver sacerdotal. At least, his friends have advised him that they will celebrate it for him. They have arranged a reception with Father O'Donnell as honor guest in the chapel hall at Eighth and Penn streets for the night of the day which will mark his twenty-fifth anniversary as a priest of the Roman Catholic church. 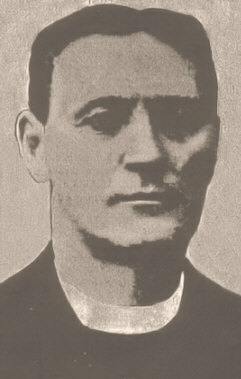 Father O'Donnell was born in Tipperary in May, 1862. He left Ireland when 14 years old and lived for four years with an aunt in New York. In 1880, he returned to Ireland and attended St. John's Theological seminary at Wexford. He completed the course of religious instruction there in 1884 and came direct to Kansas City. The reason for his choosing Kansas City as a field for religious work was that a classmate in the Irish school had been ordered to the St. Joseph diocese and had written Father O'Donnell of what a fine country the Western part of the United States is. Kansas City at that time was a part of the St. Joseph diocese. The Right Reverend John J. Hogan, now bishop of Kansas City, was bishop of the St. Joseph diocese. Afterward, when the Kansas City diocese was created, Bishop Hogan became spiritual head of the Kansas City diocese and administrator for St. Joseph. Father O'Donnell's first religious work in Kansas City was as an instructor in the parochial school of the Cathedral near Eleventh street and Broadway. He taught in the school for several months. In November, 1884, he was ordained as a priest in the Cathedral. The first charge given Father O'Donnell was in Norborne, Mo. At the time of his ordination, Father O'Donnell was too young to be admitted to the priesthood, but a papal dispensation was granted. He remained in Norborne, Mo., until 1885, when he was appointed chaplain to St. Joseph's hospital and celebrated mass each alternate Sunday at Lee's Summit. He retained the Lee's Summit charge for two years. Father O'Donnell was asked to build a church in Sheffield. He worked for several years to bring it about. After the church was built he celebrated mass in it. Two years ago it was made a separate charge. In the meantime, the new church at the hospital building was erected. It now serves many parishioners in addition to the convalescents at the hospital. Father O'Donnell is of genial disposition. He is known as "a man's priest" because of the strong interest he invariably has held in athletics and his liking for the society of men. He is a member of the Kansas City lodge of the Elks, being the only member of the order among the priests of Missouri. Father O'Donnell's family lives in Kansas City, they having removed from Ireland several years after he was assigned to the charge at Norborne. His various charges in Jackson county have given him a wide acquaintance here, while he is one of the few priests ordained at the Cathedral who has retained a parish in the city. As a result of his long residence here, the reception planned for him is to be made notable by his friends.